I have had some really bad experiences with moving companies in the past. Their inefficiency really pissed me off. Forward van lines is nothing like other moving companies. They helped me move 2 months ago. I have seen the best and the worst of the moving companies. These guys sure are the best. There was nothing the movers couldn’t do. They arrived on time, showed amazing skills in packing, their strength was almost supernatural and made the delivery on time. To add icing on the cake, the movers helped me unpack and assembled my furniture for me. How can I not be impressed with these guys? After 5 bad relocation experiences, they took my breath away and reinforced my faith in moving companies. Forward van lines is such a great moving company. They took amazing care of my belongings when I hired them. They quoted low and no extra was added to the final bill. Their movers were fantastic. They finished packing and loading everything within 3 hours. Even my third floor walkup couldn’t slow them down. They maintained their timing during both arrival and delivery. They unpacked everything at our new house and helped us assemble furniture. It was an effortless move. These guys from Forward van lines are excellent; personable, honest, straight shooters, thorough, efficient, and respectful of your belongings. They prepped everything for a long distance move, packed some of the most breakable items, and packed it all into their van. Everything arrived cross-country in the truck without any damage whatsoever. The guys are very detailed upfront, provided me with options, answered all my questions, and generated an appropriate estimate. They made the move so easy, I felt very confident everything would work out and it did. I absolutely recommend this amazing moving company, so impressed with how they handled the move! Moving from one state to another with so many belongings and 4 cats was a big challenge ahead and I was under a tight budget. So, I got very few moving options and I hired Forward van lines only because of their sales rep. He explained me the entire moving process and scheduled my move according to my preferences. Everything went as planned. Packing, loading, moving everything was smooth as silk and without any unwanted issues. I received everything in one piece and paid almost identical amount which was quoted before the move. There were no hidden fees to bother me. Overall they gave me enough reasons to recommend their services. I was worried how my things were going to travel such a long distance. I have consulted many friends who relocate frequently and most of them advised me to hire Forward van lines. When I called the company, they fixed me a slot on the moving day and gave me a really rational estimate. He also warned me that the quote was only an estimate. Their movers arrived on time to my apartment and they were all very well equipped. They efficiently packed all my stuffs. They gave me a week long window for the delivery but thankfully the delivery was made on day 02. All my things traveled without suffering any damage. The final bill was very close to the estimate as well. I had already packed most of my things before the movers arrived. The movers from Forward van lines arrived at 11 am. I already had everything packed and ready to be loaded. They did inspect everything thoroughly. They took just 30 minutes to load everything onto the van. All my belongings were delivered on the same day to my new apartment. I have heard of so many people being terrified of having to move from one place to another. If you hire a competent company like this one and instruct them properly, there is absolutely nothing frightening about relocation. I’m not very good at decision making. But, hiring Forward van lines was one of the best decisions I have ever made. 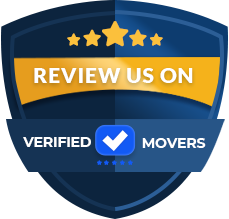 They sent over four very friendly and reliable movers who worked very efficiently to make sure that my belongings travel safely. It was such a pleasure seeing these men at their element. They were just so organized in every aspect. The foreman led the men very well. The delivery was made right on time and all our belongings had traveled very well. I have no negative comments for these guys. Forward Van Lines blew my mind while they handled my last move. The four movers were very sincere and took great care of my valuables. The whole job took happened so quickly. It really was mammoth effort from the boys. The final bill actually came under the quote, which is always a good thing. During this move, every piece of my belongings survived. That is some serious efficiency! I have to give credit where credit is due and they deserve it more than anything. I will definitely hire them again. There are only a handful of companies who are at the top of their game. This moving business is tricky as many of your valuables are often broken, damaged or lost. However, from my experience of moving, I can tell you that with Forward van lines you are in safe hands. They were very meticulous when it came to taking inventory, they wrapped everything very carefully and I was very impressed seeing how skilled they are at space management within their vans. Before I knew it, I was at my new house and their foreman handed me the inventory list. All my belongings had made it here safe and sound! I am not going to write a lot. All I want to do is to recommend Forward van lines. They have the best packers and movers and best executives in the office. It started with a phone call. When I called them for a quote, they sent their onsite estimator in my place. The onsite estimate was very precise. They planned the move to perfection. From packing my valuables to making the delivery everything went according to the plan and without any unwanted issues and the final cost was almost same with the estimated amount which was a big bonus for me. I wish them all the best for the coming years. I was really worried for the distance Forward van lines had to cover. I hired them quite hastily as I needed some movers very urgently. But, on contrary to my fears, the movers turned out to be delightful. The men were all very experienced and it showed in their work. They packed up all our belongings super-fast. This job would have taken us forever. Not only were they fast, they were also very efficient. They took such great care of our furniture while loading them onto the van. Soon they were off to the road. I had a delivery window of 5 days. Luckily, they delivered everything on the second day. All our things traveled quite well. The skills and honesty displayed by the movers really impressed me. This company has been in business for longer than I have been alive. So it was pretty obvious that these guys would be amazing at their job. I hired them for my move last week. I contacted them through their manager, the guy who picked up the phone. He gave me a very good hourly quote. The men arrived right on time on the moving day. The 4 men were very skilled and experienced. My entire apartment was wrapped, packed, carried and loaded onto two vans very quickly. I think this kind of efficiency save people a lot of money with these moving companies. Otherwise their hourly rates can quadruple due to inefficiency. I highly recommend Forward van lines for their efficient movers, helpful customer service and decades of moving experience. Forward van lines handled my last move very professionally. This move meant going back home to me. All my things were neatly packed by the strong and efficient movers sent from the company. They were properly equipped and knew their job very well. All my stuffs arrived right on time and everything was in good condition. The storage facilities haven’t done any damage to them. I am very pleased to be able to write this recommendation for them and I hope to hire them again if need be in the future. The movers from Forward van lines made our move so easy. Everything about them was so professional unlike other moving companies who are just out there to rip you off. 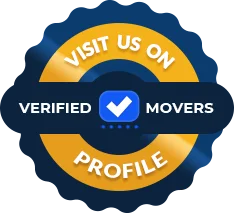 My valuables were so neatly packed, carefully loaded and timely delivered by the very efficient movers from this sincere company. I have relocated several times before and always had something to complain about with the moving companies I hired. This was my first perfect relocation and I think I’m going to stick to these guys from now on. Forward van lines was just amazing while they handled our move- no details were spared by their off-the-charts professional crew. Their performance was much better than average for sure and unimaginable at this price point. I have seen the terrible movers but these men were nothing like them. They maintained the appointment time and worked very efficiently throughout. They were extra careful while handling my glassware. They dealt with every unforeseen issue with great expertise. My valuables reached my new home without even a dent on any of the items! I will surely hire them again. Having to carry huge furniture and making sure they transport well is a huge job. One can only be good at it if they have had enough practice. I have heard some pretty amazing things about Forward van lines and so I decided to give them the responsibility of conducting my move. I contacted them and they gave me a very good hourly quote. The men arrived right on time on the moving day. The 4 men were very skilled and experienced. My entire apartment was wrapped, packed, carried and loaded onto two vans very quickly by them. I think this kind of efficiency save people a lot of money with these moving companies. These movers were so experienced that I never even had a thing to worry about. I was so confused while choosing which moving company to hire for my move. A friend of mine who moved last year suggested me the name of Forward van lines. This company has been in business for longer than a lot of the fancy ones. Experience means a lot in this business. They were very apt at handling heavy furniture and delicate glassware. Most movers rush into packing and loading while these guys took their time but by no means were they slow. I am very impressed by their skills and give them a high recommendation. The best thing about this company is their pricing. I had quotes from other companies but they seemed way too high considering the price Forward van lines gave me. So I hired them and hoped for the best. They turned out to be quite great. The movers arrived half an hour late but they called ahead and apologized. They moved all my furniture and other valuables safely all the way to our new house- there were no damages or nothing went missing. They maintained the time schedules and added nothing extra to the final bill. I honestly think hiring these guys made my move ten times easier while my bank balance is still healthy. The lack of honesty and integrity in moving companies is something we are all used to. So imagine my surprise when I managed to move all the way across the country with the help from Forward van lines and do so quite seamlessly. It was all because of this super moving company who just knows how to do this job! Four movers from this company and their superhuman efforts paid off! I had a lot of things as we are quite a big family. The movers systematically sorted our properties into different boxes and securely placed them in the van waiting outside. When it came to the furniture, they put a shrink wrap on each of them and carried them out like they were way too light. I couldn’t even lift many of the pieces but it didn’t bother these guys at all. They were always smiling and ready to help. I would definitely use them again. We found the information about Forward van lines on the Internet. These guys were so amazing and they relocated my family with lots of professionalism. The movers made me a happy and satisfied person at the end of the day. They came prepared with plenty of packing materials and other equipment that would help them. They were very supportive throughout the process to fix every issue that arose and made sure my move was completed without further issues. This is the best moving company you will ever find. If you are moving just hire these guys and let your worries to rest. Two weeks before my relocation I got in touch with the customer service staff of Forward van lines who hooked me up with the estimator. After giving all the details about my planned relocation, I was assured of quality services and nothing less. I thought it was all about marketing until I actually saw them working. Everything worked out exactly how the manager had explained. The crew arrived at my home a day before and ensured that everything was in order. The relocation was smooth and well done. I have used a lot of different moving companies over the years and have never come across a fun and hardworking team as Forward van lines. They were extremely hard working, helpful and polite. We appreciate their efficiency and humor throughout the move. Their manners and well-spoken conversation was a real pleasure and their attention to detail and wanting to do a good job was more than we could hope for in a team of movers. I believe they have one of the best teams I have ever met. I can always trust that when I refer one of my clients to the estimator at forward van lines that they are always in great hands. Their team has always been extremely professional and respectful to my client’s needs and very understanding to just how stressful a move can be. They work so hard and so carefully to take care of not only the household goods, but also the walls and floors at both locations. They arrived on time and got right to work. All of our trucks full of properties arrived in perfect condition! These guys are the absolute best for sure. The move went really smooth and nice with the help of Forward van lines. No issues at all and arrival time was as expected. We got lucky and no delays anywhere and we got our goods in less than a week from departure. This is a moving company with friendly staff and they attended well all our needs. In the past we just found that personnel don't have much of an idea of the requirements of an interstate so we just boxed some stuff with real uncertainty that would pass or cause trouble but no issues at the end with this amazing company. Moving is painful and movers always stole something or break the belongings. I heard it and I was afraid to move. But forward van lines was exceptional. All employees at this fabulous company were great to deal with. Their price was very reasonable much lower than other companies. Everything arrived and was unwrapped by them. I felt as comfortable as I think I could have. Not a single dent was found on anything and nothing went missing as it does in almost every move. These men are truly methodical in their ways. I sincerely appreciated all of the effort and time they spent helping me. Forward Van Lines turned me into a loyal customer and let me tell you, they definitely earned it. They handled my move so professionally, I was shocked! They showed up very early in the morning and got to work right away, carefully packing all of my boxes. The crew was very friendly and pleasant to have around. Not a single item was broken during my move. I will definitely be using them again! As I needed Forward van lines to deliver my belongings 2 days later, I decided to hire their van for 2 whole days. They agreed to it and didn’t try to pursue me to hire storage facility. The movers were great. They maintained their timings and worked very efficiently. As the boxes and everything else stayed inside the van, I was quite worried for them. But luckily, nothing suffered any kind of damages. Hiring the truck for 2 days definitely increased the bill but I just don’t trust the storage companies. The actual moving process with this company was absolutely effortless. Forward van lines is by far one of the most efficient moving companies I’ve ever heard of. Unfortunately, I’ve experienced some unpleasant situations with the movers before, so I knew exactly what to look for. From the first moment I saw them I felt comfortable letting them handle my household belongings. They were very professional at doing their job and made the entire process a lot easier on me and my family. Not only did Forward van lines movers turn my move into a more bearable experience, but they also reduced the stress level significantly. I will be happy to recommend them to all my friends and relatives who are trying to find a reliable moving assistance. Forward van lines is the best moving company in USA. They helped me out so much during my last move. I hired them quite hastily because I just didn’t have the time to do my research. Their quote seemed alright and so they got the job. On the moving day, I was busy running errands while they meticulously packed everything I own and loaded them onto their van. I received the delivery on time and believe me when I tell you that everything I own was delivered in perfect condition. I was hoping they would break at least something to make sure they weren’t perfect! But they were hell bent on being perfect. I cannot see you shouldn’t hire such an efficient, yet affordable, moving company. I know the title sounds like a Tinder profile but I would feel very safe handling my valuables to someone knowing that he cares about them. That’s exactly how Forward van lines made me feel while moving my stuffs two weeks back. The movers were all very friendly and helpful. They made me feel at ease. There was no language barrier although the men were Hispanic. The men were very skilled and properly equipped. They finished the job in a record time for sure. I watched them carrying my furniture so delicately and putting my breakables into boxes so carefully. They really built a relationship of trust with me and it helped me a lot. I felt that they did justice to my trust when all my belongings were delivered in great condition. As a professional business training manager myself, I certainly understand how important training is in any job! The movers from Forward van lines, who helped me with my last move, were meticulously trained for the job. The foreman was a very experienced man and he always had a grasp over the whole move. Each and every item I own was packed with precision and quickly loaded to the van. They delivered on time and nothing suffered any damage. These men were exemplary in relocation 101. I surely will hire them again. Forward van lines has such a great reputation and I badly wanted to hire them for my move. But everyone else wants to hire them too so they were heavily booked. After calling them again and again, I finally got a slot. I certainly understand now why this company is so popular. They were literally on top of everything the whole time. They were punctual, efficient and reliable. It was just a very satisfying relocation. They took care of me and my valuables in the right way. My things traveled through the country and arrived at my new house completely unharmed. 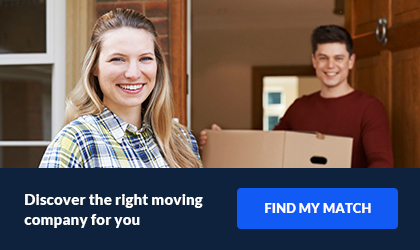 Change your moving date if you have to but just hire them. The men from Forward van lines are absolutely amazing in every way imaginable. They know exactly how to do their job. It was our first relocation and we were really worried. The possibilities of things going wrong on your first move are high. Their manager gave me a very low quote and sent over 3 men. I must say this man really helped me ease my worries as he walked me through the process step by step and he had a lot of patience. All three of the movers were very apt and experienced. They maneuvered tricky and large pieces of furniture through the narrow hallways of my old home with such ease. I was very happy to see no dents or bruises on my furniture. All my glassware was neatly packed and carried to the vans. When I received the delivery, I am happy to report everything traveled safely. It was a very happy moving experience, all the credit goes to this amazing company. My number one concern with moving is the damage to personal items and inconsideration from movers who see it as just another job. Forward van lines managed to keep all of my worries at bay with their real professionalism. As an artist, and a lover of art I had a lot of pieces I needed to move. One of which included a glass painting which I love. There wasn’t a single scratch, or crack on it when it arrived at my new home. I’m nothing but grateful, thank you. Forward van lines blew my mind with the swiftness the movers displayed. They arrived at 9:00 am as promised, took an inventory and got to work. I noticed boxes being carried out after a few minutes of their arrival. They finished the whole packing and loading process in such a quick way! I would never know how it was humanly possible for these 4 men to finish the job so quickly! Even more surprisingly, they delivered all my valuables in the exact condition they took them. I suppose these guys have been doing this for a very long time because the same task would have taken me forever to complete! I am probably such a misfit among the fast-paced city dwellers. But hey I grew a pair or two in down south. Good thing is that I was able to bring a piece of home with me when I moved here. My movers, Forward van lines, were always smiling while working. Manners will get you far back where I’m from. These guys knew their job inside and out. But they did it all while acting like humans, not trained robots. I suppose that adds certain something into their service and you don't mind paying the standard moving fees which may seem ridiculous otherwise. My wife and I are really enjoying our new home but thank goodness there are some good reminders of what life was like back in our house. Forward van lines made it all possible. Most movers were giving us such ridiculous quotes and I almost gave up on the relocating idea. That's when a workmate of my wife suggested this company. When I called them, they asked me about every detail and then gave me a very reasonable quote, to my surprise. They were very efficient at the actual moving process as well. Thank god for movers like them who make relocating possible for us regular Americans! Although the person I first spoke to was not really polite and gave me vague information, Forward Van Lines movers worked very diligently on the day of the move. I know that moving can be an extremely stressful process so I was fortunate to have hired this company to coordinate my move. Although the movers were very young, it was obvious that they had a lot of experience in the field. I had a lot of concerns about how my items will survive that long distance trip, but they gave me a lot of helpful information and guidelines. I will recommend these hard-working guys to all my friends. Great job!!! My girl and I moved twice in the last year. The latest moved we went with a new company, this one. Forward Van Lines was helpful. We already had an itemized list from the last time we relocated, the booking part was super simple. The movers were quite late showing up. I had to go into my office and tag my girlfriend into house sit since they were taking so long. Didn't really go as planned. But everything else went great. Everyone we spoke to at Forward Van Lines was really nice. We complained to the supervisor, because that's just the people we are, and they did ask if we would like compensation. So, I would consider the situation rectified. Forward Van Lines started off great. But after i booked I called my rep and couldn't get any info. Turns out that I was only suppose to call customer service only. Once I started contacting customer service everything went a lot smoother. The actual movers were great but the communication was limited. At delivery everything was completely quickly. I was so relieved, to be done with the whole process. Forward Van Lines began over 20 years ago, in 1994. They know the industry like the back of their hand. They can provide the best service at an affordable rate. It is important to them to only employ professional workers with experience. This really cuts down on any room for error throughout the moving process. They believe that customer service is of the utmost importance. You will always have a professional representative to speak to, regardless of what your needs are. They know that trust is a very important factor and want you to know you will be in great hands through the entire process. They offer local moves in the South Florida area. All prices are based on hourly rates. There will be no price inflation at the time of pick up. They also offer industrial and corporate moves. If you have an office, restaurant or other business that you need to move, know your business life will be in good hands. They specialize in moving large equipment and know just how to keep it safe and sound. If you are moving internationally, they will ship ocean marine containers or send it by air. They offer door to door service and know how to keep it safe. Regardless if you are moving locally, long distance or internationally, they will store your items if need be. They have safe and secure units that are available for long or short term. You will be billed by a month-to-month basis, with no hidden fees. They also have A/C options available to keep your items nice and cool. If you think all those services were surprising, auto transport is also offered. They will move your car with either open or enclosed trailers. All bases are covered here at Forward Van Lines. You will experience all services at a great price!